Did you select the right business category above in green? If not, feel free to try again. Ready to have your business or organization found on the web? 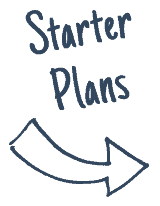 We have created lower priced, minimal plans to assist those who need the SEO basics. Not sure what SEO is? This stands for Search Engine Optimization and is the method used to optimize your website to be found for specific key terms in all the major search sites. We are Google Certified marketing experts, with a great track record for getting results. At LOJO we want to be known as your Digital Marketing partner. We believe the only way we succeed is when you succeed. Marketing budgets are intended to be an investment to yield a return. We focus on all geographic, psychographic, and demographic markets. I guess you could say we have the graphics covered, pun intended. Not sure what any of this stuff down below means? Feel free to visit our contact us page to request for Stephen or Eric to give you a call back to answer your questions. LOJO is currently looking for clients in the Sacramento, Roseville, Rocklin, Folsom surrounding areas. We are happy to help anywhere in California such as San Diego, Los Angles and San Francisco. We have clients located in multiple other states too, so don’t be bashful. You can have the greatest business model, service, or idea out there, but if you are not taking the steps to bring your business to market, the odds of success become much lower. One great way to get the word out about your business is with optimizing your current website for the search engines. Not sure what SEO is? This stands for Search Engine Optimization and is the method used to optimize your website to be found for specific key terms in all the major search sites. Many plan options to chose from below. We’ve attempted to design these packages to work for a variety of business shapes, sizes, and objectives. There are no website page limits here, these are all based on the keywords you are focusing on and the efforts we will need to take to meet the set marketing goals. We are currently taking on new clients in all areas of the West Coast and beyond. Big shout out to our west coast clients with the names we chose for our small and medium size business plans. Whether you have a business that has been around for generations, one that has grown at an exponential rate, or a new product/service your wanting to move up the search engines with, we have the below Enterprise SEO plans ready for you. We are currently taking on new enterprise level clients in the United States and beyond. Plan names below are in honor of the fastest man flown aircrafts. 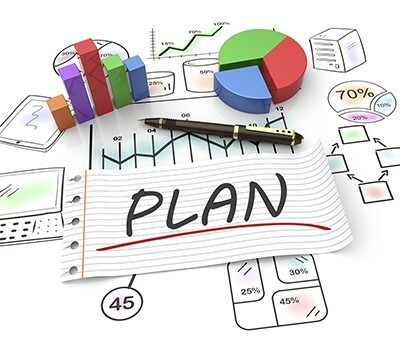 One of the most important steps to your online marketing efforts is your campaign setup. This phase involves the analysis of your site, current link structure, code, navigation and content. 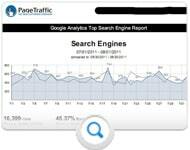 We will also start the analysis of your top competitors on the major search engines for comparison report. Keyword optimization is the soul of online marketing campaigns. 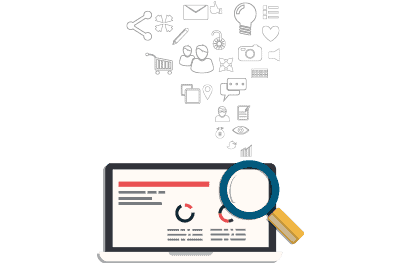 In order to determine the appropriate set of keywords needed for your site, our team conducts an extensive research using various tools and actual search data to come up with a list of keywords that is worth your investment. We select these keywords based on your target market, locale, and the nature of your business. The keyword research report is sent for your review and approval. On Page Optimization is the very first step our team will do once we start our campaign. 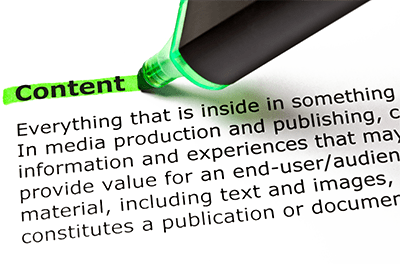 It has been mentioned a couple of times that "Content is King". We believe that, but content encompasses a lot of things for us. It’s not only the article in your blog. Anything and everything that the search engine and users can see, we optimize it enough to get it noticed in the search engine results. Properly and adequately incorporating keywords, managing interlinking within the site, and targeting the proper audience for that page is what we generally do for On Page Optimization. Search engines communicate with your website through the code. 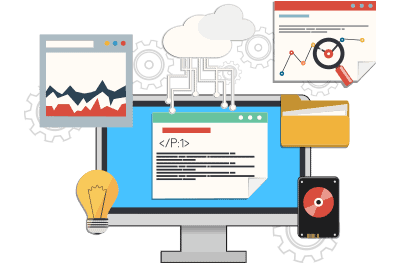 In order to send them the correct signals about the website’s content, our SEO Specialists handle code optimization, making sure that every page of your website is search engine friendly, and user friendly as well. 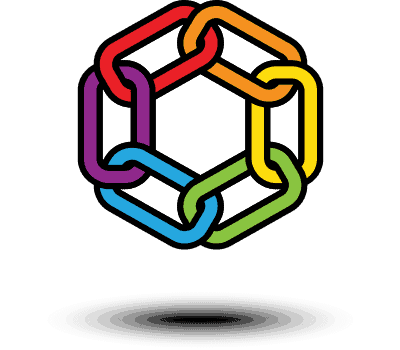 Link building has been the most sought after service in the SEO industry. Link building is one of the main means of having authority and getting noticed in the search engine results. However, if done poorly or rigorously, it may result to penalties that will de-index your site across almost all search engines. Here at LOJO, we believe in getting smart and valuable links from clean, related websites in your industry. Social networking sites have developed throughout the years, and now it's considered a big part of search engines. 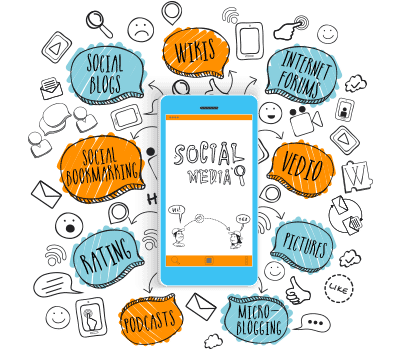 Because of that, integrating Social Media Marketing (SMM) into our plans is a must as we are dedicated to keep your social accounts active and increase your reach across the vastness of the Internet. 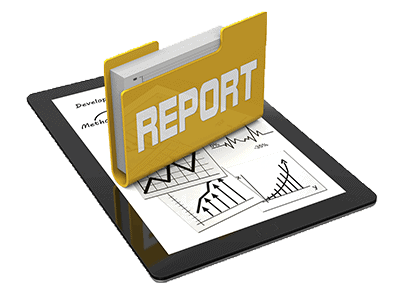 At LOJO, we are committed to deliver monthly reports on our efforts reflected on your website. We offer reports on monthly rank progress reporting, traffic flow, click rates, conversions, and more. We aim to deliver reports that are straightforward yet substantial to our clients. Because search engines constantly update and change their algorithms, it is important for us to review our progress and rearrange our strategy for compliance. After going through our process, we tweak our strategy and recheck our efforts from step one until the last. Every progress is accounted for and recorded in the reports we send out monthly. See an example monthly report, we believe in accountability and delivery. Do you want to know how well did you fare against the competition? Our ranking report presents all the target keywords, along with your website’s current position, and whether they have moved up, down or remained stable. To website owners, having a deep understanding on how your website works is a must. To understand this, our Google Analytics report can give you an idea about your top referrer site, organic keyword results, and more. Numbers put into sensible graphs and tables, displaying your monthly traffic data; it’s all there. From conversions to bounce rates, LOJO transparently reports all of these to you. This is solid data delivered straight to your inbox. Q. How long does it takes to achieve results? A. Within the first week, our CTO provides you with a technical site review and keyword phrase strategy. Within the first thirty (30) days, we begin optimizing and submitting to all engines and directories. Within the first sixty (60) days, the search engine and directories begin to show results of our preliminary efforts. Your SEO campaign will seriously ramp-up within the first three (3) to six (6) months as the engines and directories re-index their database. Some engines/directories can vary their indexing from two (2) weeks up to four (4) months so it's important to perform SEO services month after month on an annual basis if you want to achieve the best possible results. A. We've been providing search engine ranking services for almost 10 years. Q. What is your company's proficiency in SEO? Do you specialize in specific industries? A. Our specialty lies in the thorough analysis, ongoing consulting and recommendations for improving your website's search engine visibility. Proper Registration of your site in the major search engines and directories, such as Yahoo!, Google,MSN etc. Engine-Specific optimized content with increased Link-Popularity and improved keyword rankings. 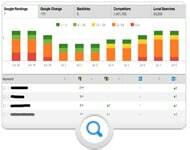 Monthly reporting of your keyword rankings across the major engines. Click here to know what industries we have covered in the recent past. Q. What is your Holistic SEO Approach? Content matters most in search engine placement. 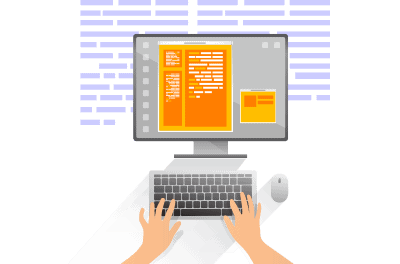 Search engines prefer to rank sites that offer authoritative content. Accordingly, we may request changes to existing site content on certain pages. We will then incorporate the relevant keywords into the base text (contextually). A. We have successfully optimized 1500+ sites in the last 10 years. The average order value is INR 60,000, but the increasing majority of SEO projects fall in the INR 60,000 -INR 1,25,000 range - since we ramped up business development in January 2002. A. Depends on the SEO package chosen and the specifics of the assignment. Expect these documents via e-mail in this order: Project proposal, order confirmation report, keyword list report, date-wise activity plan, weekly progress report on web development, monthly SE rankings reports following submission throughout the project life cycle, content recommendations as needed, etc. Q. What differentiates your service from other service providers? A. We have successfully positioned ourselves as the 'what SEO services really ought to cost' company. We promote our SEO services on the 'knowledge at a low price' platform - in other words, we offer value. We are a true blue, knowledge-centric and process-focused SEO Company, albeit able to offer world-class SEO services at offshore rates. Q. Do you follow SEO practices/do you have a code of ethics in place? Q. What's your mode of payment? A. Depending on the package we accept checks, all major credit cards & money by wire transfer. Q. What maintenance do you provide, and what is the monthly cost? A. We report the engine and position of each client key phrase link to our customers on a monthly basis. We research, develop and implement new SEO techniques on a weekly basis. We monitor the search engines and directories on a daily basis. Cost varies depending on the number of keyword phrases we optimize, cost of pay-per-submission directories, levels of consulting, number of links to improve link popularity and level of website sophistication or programming. There is a set-up fee based on the above criteria.